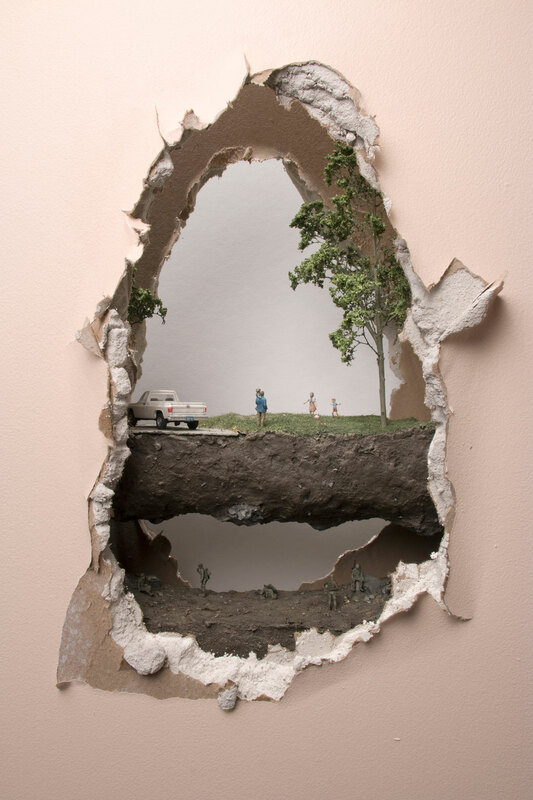 In “Small Worlds: Miniatures in Contemporary Art”—at the University of Vermont’s Fleming Museum of Art in Burlington from Feb. 13 to May 10, 2019—artists adopt the techniques of dioramas, model train figures and architectural models to invent tiny worlds that reflect our dreams and fears. 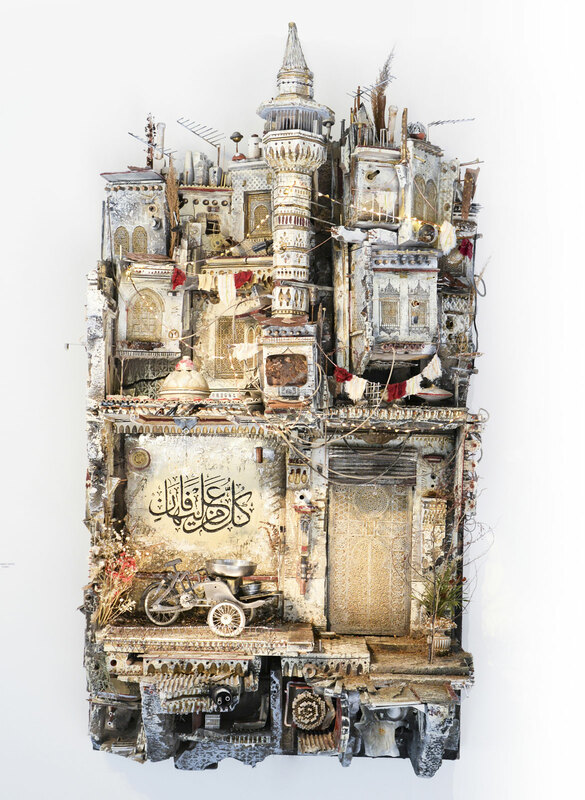 Hafez turns cast plaster, paint, parts of old radios and fans, rusty drill bits and nails into heartwrenching models of abandoned cities smashed to ruins. Lori Nix + Kathleen Gerber create photographs of models of abandoned subways and bars and libraries overgrown by nature. 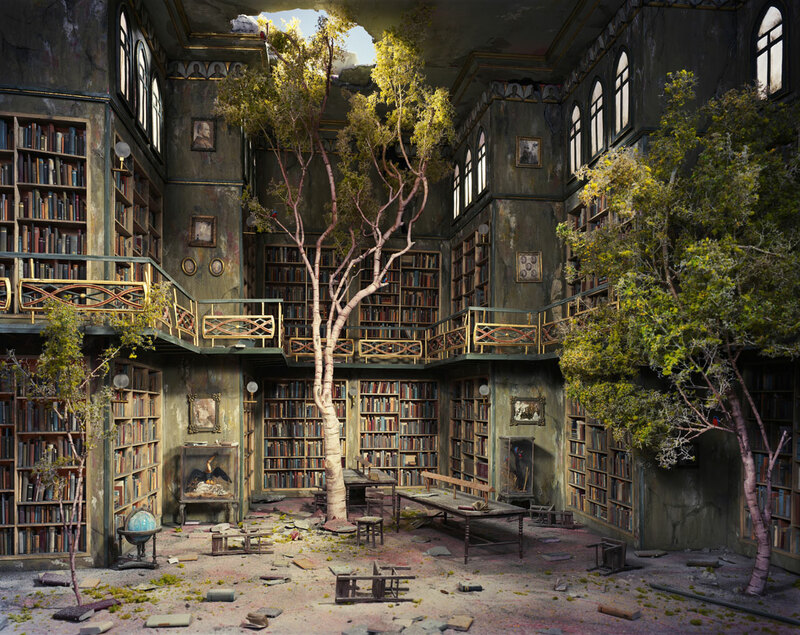 Allison May Kiphuth cuts out her watercolor paintings to create environmental dioramas. Thomas Doyle fashions miniature people and homes beset by strange end-of-the-world floods and train crashes and earthquakes. The exhibition also features Brian D. Collier’s “The Traveling Museum of Very Small Objects” and Matt Neckers’s “Vermont International Museum of Contemporary Art + Design (VTIMoCA+D),” which offers galleries of miniature artworks showcased inside old suitcases and a refrigerator. 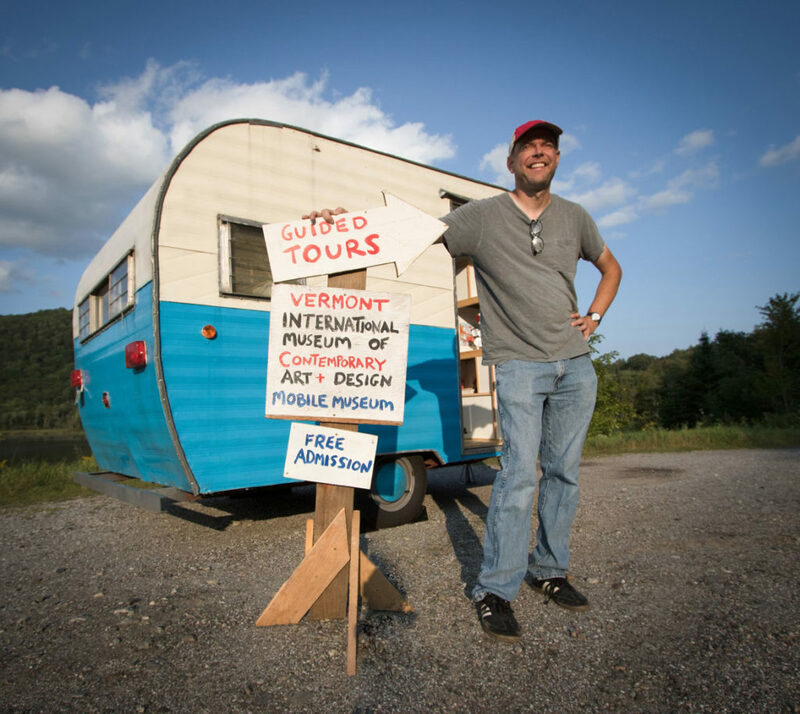 Corin Hewitt has constructed a miniature version of his family’s cabin in East Corinth, Vermont. 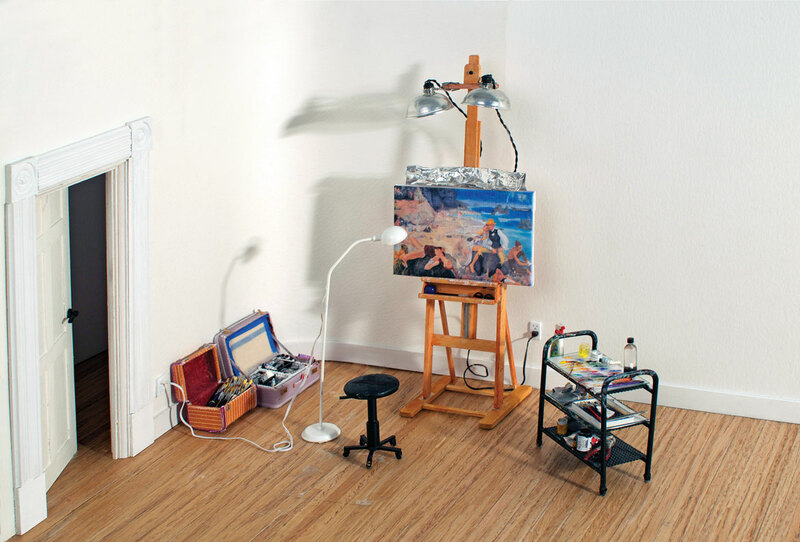 Joe Fig creates models of the studios of esteemed artists. Minimiam (Akiko Ida + Pierre Javelle) create funny scenes by setting miniature people in worlds made from actual fruit, pastries and ice cream. 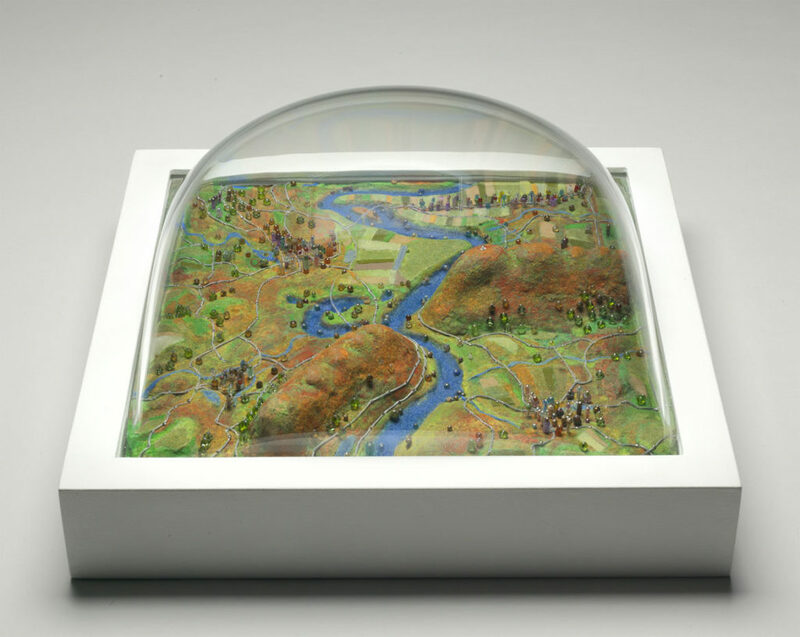 The blue Connecticut River winds through the patchwork green and autumn orange of tiny fields and the Holyoke Range of central Massachusetts in Sally Curcio’s “Happy Valley (Fall)” from 2016. “When I was a child I used to play on swings and look at blocks and imagine I was miles above the ground,” the Northampton artist told me in 2013. Her “Bubbles” are miniature worlds, a foot square, sealed under clear plastic domes in which foam and flocking bejeweled with beads become glittering trees and delicate futuristic towers. She has created a futuristic “Orbit City,” dream versions of New York and Miami Beach, a pair of desert islands, Sherwood Forest, the North Pole, Atlantis.